the keyboard is still not working, but the line with the ISA bridge disappeared. 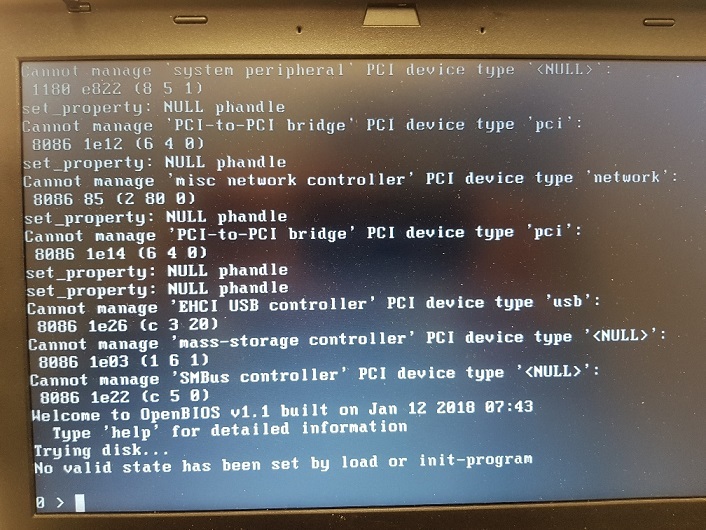 > > I installed coreboot succesfully on my t430. > > Unfortunately when I start it, it doesn't recognize the keyboard and several messages "cannot manage <device name>...."
> > I know that the laptop keyboard is attached via PS/2, and in the drivers/pci.c is a PS2 Keyboard block. > > Is there anything I can debug? > list then it never generates the appropriate DT nodes. > your QM77 PCI-ISA bridge and fairly standard. > for your particular PCI-ISA bridge into the OpenBIOS configuration?